While it is getting impossible to watch a sports even on television without seeing an add for testosterone replacement therapy, doctors do not know that much about the so-called medical condition of low testosterone, new research is suffering that a patient is significantly more likely to experience lower testosterone levels when he is taking prescription opioid based pain medications like Percocet according to a recent article from Renal & Urology News. First, it should be noted that researchers at Janssen Pharmaceuticals, which is a wholly owned subsidiary of giant drug manufacturer Johnson & Johnson, conducted this study. As we have seen too many times in the past, some of these major drug manufacturers have been more interested in making huge profits than they are in patient safety. It should, therefore, come as no surprise that failure to warn patients and doctors of a known danger and defective design of a drug have been the basis for thousands of dangerous drug lawsuits. As for the research itself, data collected between the beginning of 2011 and the end of 2012 was used to determine if the use of opioid medication caused patients to experience a significant reduction in testosterone levels. There were over 5,000 patients who were included in the surveillance study, but the study was based upon self-reporting from these patients. Just fewer than 5,000 patients said they were not exposed to prescription opioids in the past month and around 320 study patients reported that they had been exposed to opioid medications. The testosterone levels for the 320 patients that reported recent opioid exposure were then compared to the remaining patients who did not report recent exposure to opioid medications. From this research, it was suggested that those patients who were exposed to opioid medications had “higher odds” of having a lower testosterone level than those who did not report recent exposure. 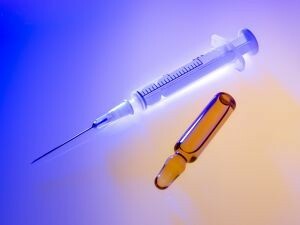 While the study designers did not say what they could do address the problem, the obvious solution one could expect from a drug company would be give patients who are proscribed opioid medications a course of testosterone replacement therapy (TRT) to prevent the lowering of a patient’s testosterone levels. This would be entirely consistent with how testosterone replacement therapy is being pushed on every man who is experienced the normal effects of aging. This is an off-label use, but the FDA only approves testosterone hormone therapy for patients with a serious medical condition known as hypgonadism. Since hypogonadism is extremely rare, and there are millions of men on TRT drugs, it is safe to assume most of these patients are not suffering from hypogonadism. The doctors and Low T clinics that push this medication do not know this for a fact because they are treating based upon symptoms only. If they actually tested a patient’s testosterone levels, they could not prescribe off label. The truth is, doctors do not really know what it means to have low testosterone levels, and they do not know if taking testosterone replacement actually helps. What doctors do know is that taking testosterone can increase the risk for stroke and heart disease, and many people in Boston have been seriously injured as a result of taking testosterone replacement hormone.